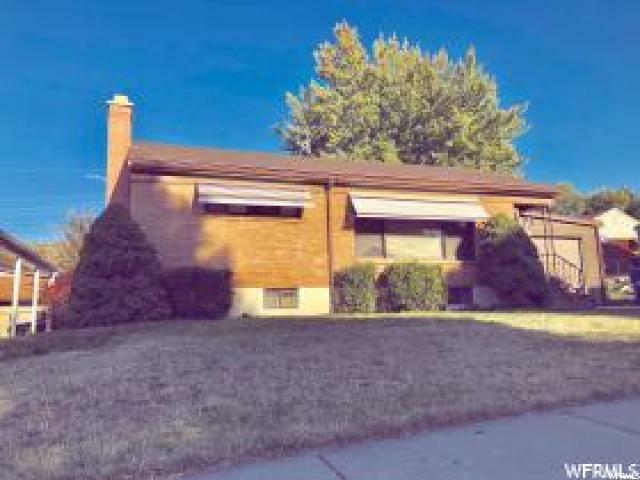 All Washington Terrace homes currently listed for sale in Washington Terrace as of 04/19/2019 are shown below. You can change the search criteria at any time by pressing the 'Change Search' button below. If you have any questions or you would like more information about any Washington Terrace homes for sale or other Washington Terrace real estate, please contact us and one of our knowledgeable Washington Terrace REALTORS® would be pleased to assist you. "Living is easy in this impressive, generously spacious home in a quiet cul de sac. The open floor plan encompasses six spacious bedrooms with plenty of room for study, sleep and storage. Three and a half bathrooms, and a sleek and stylish kitchen with vaulted ceilings, Wolff range and stove, Bosch dishwasher, quartz counters that flow into the great room. The expansive living room opens up to a spacious enclosed sitting area that feeds onto the private Trex deck. Real hardwood floors throughout the main floor. The back yard is surrounded with tall pines and maple trees that give a sense of tranquillity and privacy. The master bedroom, complete with spacious walk-in closet, large sitting area where you can get away from the daily grind all while sitting in front of the gas fireplace. Master bath offers a marble tub, tile shower with multiple jets and rain heads. 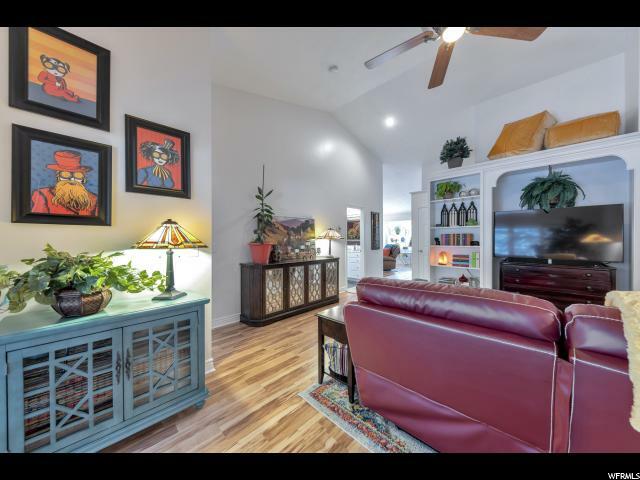 The basement offers 2 bedrooms, work out room, open living area and wet bar that walks out to a covered patio and firepit area. Don't forget the 3 car garage and RV or boat parking on the side. " "This darling Venice is one of the last homes available in our highly desired Fieldcrest Estates community on the border of South Ogden and Washington Terrace. Never mow your lawn or shovel again, landscaping and fencing 100% included! Spacious living area and large bedrooms with huge windows and unobstructed views from the back and front of the home. 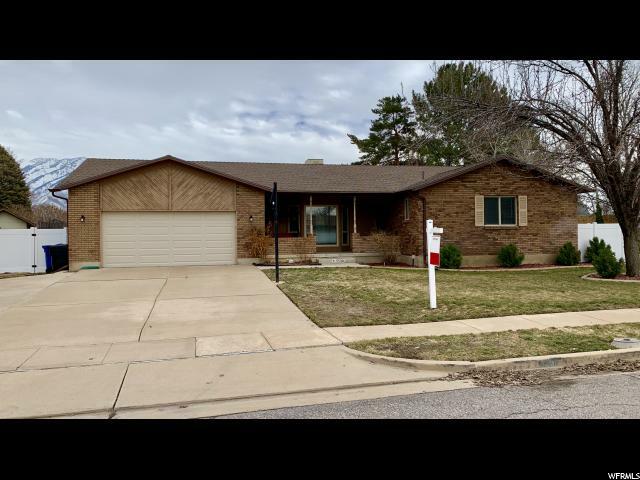 Enjoy all the extras this home offers: finished basement with 3 more bedrooms, kitchen has beautiful white cabinets with a beadboard island and upgraded granite throughout, gorgeous backsplash in kitchen, tile fireplace with stunning mantel and 10x15 covered patio to name just a few. Builder is offering $5000 incentive to be used towards closing costs or reduction in price of home. Schedule an appointment to see this home today! 3/25/19 HMI *"
"Brand new beautiful home with views ready to live in! Never mow your lawn or shovel again, landscaping and fencing are 100% included. Open Kitchen and entertaining area. Main level living with the advantage of 3 bedrooms and large entertaining area downstairs if needed! Granite in Kitchen and Master Bathroom. Beautiful cabinetry. 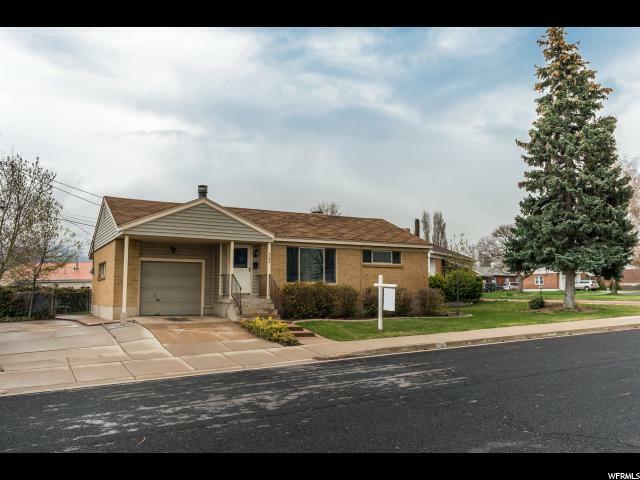 Live on the border of Washington Terrace and South Ogden in a highly desired community with great access to City. Includes $5,000 lender promo." "Great, west-facing, all brick home. High Pride Of Ownership! Excellent Floor Plan. Very clean shows great. Remodeled kitchen with granite counter tops. Newer stainless-steel appliances. 6 spacious bedrooms, 3 bathrooms. Wet bar in basement. Great for entertaining guests. Radiant heating. Newer carpets, new water heater, new boiler, new rain gutters. Washer & dryer are included! Fully fenced with new shed in back yard. 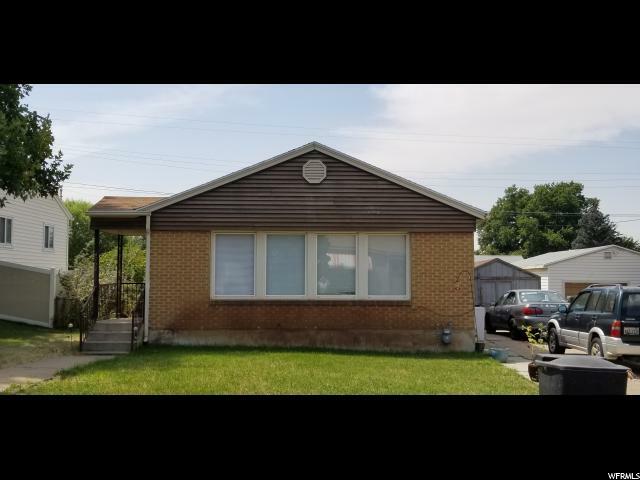 Centrally located close to Ogden Regional Medical Center." "Absolutely fabulous updated and well cared for condo! With plenty of space, the convenience of condo living, and privacy, you will love this home! Kitchen updated in 2018, new carpet and complete interior paint 2018, roof only 2 years old, new 95% efficient furnace/HVAC in 2017, master bath remodeled in 2016, newer laminate flooring and appliances, new water heater in 2016, and new pulls/hardware throughout! The 2-car garage fits 2 SUVs comfortably with room for storage and a fridge. HOA requires buyer to occupy the home for at least one year prior to renting. Square footage taken from county records. Buyer to verify all." 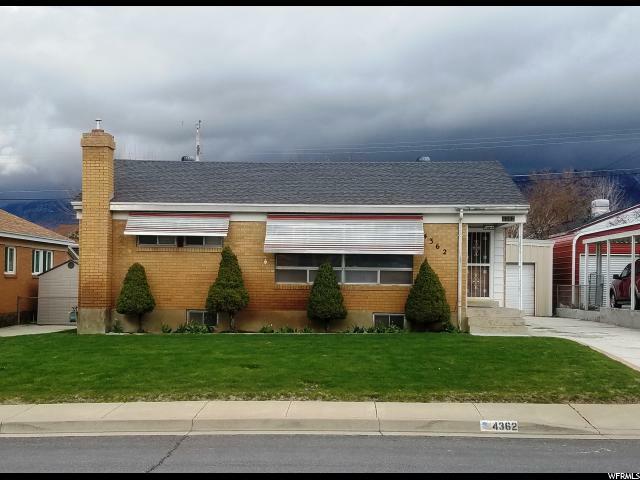 "Awesome House with 2 kitchens Close to Weber State University- Upstairs has 2 bedrooms, 1 bath, family room, kitchen and all appliances. Downstairs has 2 bedrooms, 1 bath, family room, kitchen and all appliances. Downstairs was fully renovated last month with new granite counter tops, Luxury Vinyl Floors, baseboards, carpet, and paint! Keep your Mortgage payment low ! " "UPDATED KITCHEN AND UPSTAIRS. DOUBLE GARAGE, FINISHED BASEMENT. NEWER 50 GALLON WATER HEATER AND WATER SOFTENER, AND FURNACE HAS BEEN REPLACED, NOT ORIGINAL. STORAGE SHED, AND GAS STOVE." "**NOW SHOWINGS UNTIL GRAND OPENING SATURDAY APRIL 20th 12-2 PM** Perfect Starter Home In Washington Terrace! 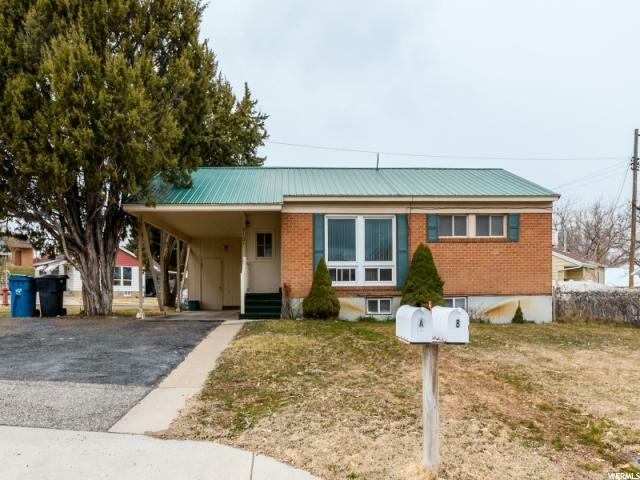 This Home Has All The Essentials Featuring 4 Bedrooms, 2 Bathrooms, Updated Open Concept Kitchen, Living Room Upstairs & Family Room Down, Fully Fenced Yard, Brand New Roof That Will Be Finished Within The Next Couple Weeks, Great Quiet Location & SO Much MORE! Call To Schedule Your Showing Today! " "Do Not Disturb, home is Leased thru Aug. 2019, all brick rambler remodeled and updated, leased for $1245/mos. Seller may do a 1031 Tax free exchange. "